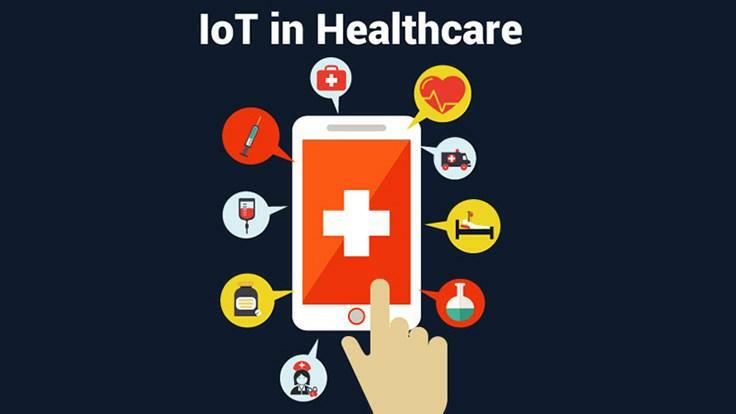 Healthcare is fast adopting IoT and changing rapidly as a result - reducing costs, boosting productivity, and improving quality. IoT can also boost patient engagement and satisfaction by allowing patients to spend more time interacting with their doctors. There are a number of opportunities for the IoT to make a difference in patients' lives. IoT-enabled devices capture and monitor relevant patient data and allow providers to gain insights without having to bring patients in for visits. Adding sensors to medicines or delivery mechanisms allows doctors to keep accurate track of whether patients are sticking to their treatment plan and avoid a patient's readmission. At Boston Medical Center, IoT is everyday life. Newborn babies are given wristbands, allowing a wireless network to locate them at any time. They have installed wireless sensors in refrigerators, freezers and laboratories to ensure that blood samples, medications and other materials are kept at the proper temperatures. The hospital also has more than 600 infusion pumps which are IoT-enabled. BMC staff members can now dispense and change medications automatically through the wireless network, rather than having to physically touch each pump to load it up or make changes.